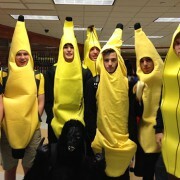 Students are starting to go bananas! For more pictures of day one, visit the Media Center Facebook page at https://www.facebook.com/lafayettehslibrary ! Senior! Thomas Nelson will be here Monday, November 3rd from 10:15 to 11:00. Please sign up in the Counseling Department and check the College Representative book to see who is visiting Lafayette. Attention all forensics team members there will be an important meeting on Monday, November 3rd after school in the Black Box Theatre room 623.If you are going to the next meet on Thursday, November 6th or would like to go and watch you must come to the meeting and sign up. Any questions see Mrs. McCorry. Attention Spanish Honor Society members â we will have our annual âDay of the Deadâ celebration immediately after school on Monday, November 3rd in room 302. Nos vemos. Students who need a âDate Requestâ form for the homecoming dance may pick it up in the main office. You must turn in the âDate Requestâ form when you purchase your homecoming ticket(s). Tickets will be on sale from Wednesday, November 5th through Friday, November 7th and are $10 per person. If you have any questions, please contact Mrs. Hopkins in faculty office 5. LHS Theatre won big at the Virginia Theatre Association! 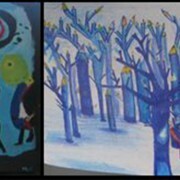 They are 1 of 2 VA high schools chosen to perform at the National SETC competition in March. Click here for a list of the other awards they won. LAFAYETTE HS THEATRE PERFORMED at VTA (Virginia Theatre Association) this past weekend. OUT OF 60 HIGH SCHOOLS IN VIRIGINA, LAFAYETTE WAS RUNNER UP. Top 2 high schools (Loundon Valley HS and Lafayette HS) will move onto Nationals SETC (Southeastern Theatre Conference) – March 4-8, 2015 – Chattanooga, Tennessee Lafayette HS Theatre will perform with 26 other schools from 13 states. 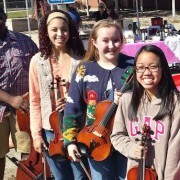 https://wjccschools.org/lhs/wp-content/uploads/sites/20/2014/10/Theatre.jpg 375 665 Amy Wallisch https://wjccschools.org/lhs/wp-content/uploads/sites/20/2017/10/Lafayette-High-School.png Amy Wallisch2014-10-30 13:49:462014-12-17 07:58:44LHS Theatre won big at the Virginia Theatre Association! They are 1 of 2 VA high schools chosen to perform at the National SETC competition in March. Click here for a list of the other awards they won. LHS Spanish classes researched a Latino painter and recreated one of their works. https://wjccschools.org/lhs/wp-content/uploads/sites/20/2014/10/Capture.jpg 375 665 Amy Wallisch https://wjccschools.org/lhs/wp-content/uploads/sites/20/2017/10/Lafayette-High-School.png Amy Wallisch2014-10-30 13:23:442014-10-30 13:29:37LHS Spanish classes researched a Latino painter and recreated one of their works. Students, you are reminded that you must adhere to school dress code. We trust that you will enjoy the spirit of homecoming while continuing to make responsible choices. Seniors: Thomas Nelson will be here Monday, November 3rd from 10:15 to 11:00. Please sign up in the Counseling Department and check the College Representative book to see who is visiting Lafayette. Attention all forensics team members there will be an important meeting on Monday, November 3rd after school in the Black Box Theatre room 623. If you are going to the next meet on Thursday, November 6th or would like to go and watch you must come to the meeting and sign up. Any questions see Mrs. McCorry. Attention Spanish Honor Society members -we will have our annual “Day of the Dead” celebration immediately after school on Monday, November 3rd in room 302. Nos vemos. Due to conferences and tomorrow’s early release, the library will be closing right after school today and tomorrow. Congratulations to the Boys and Girls cross country teams who each won the Colonial Rivers Conference Championships yesterday. Congratulations also to individual Conference Champions Adriana Hooks and Konrad Steck! Attention all forensics team members there will be an important meeting on Monday, November 3rd after school in the Black Box Theatre room 623. If you are going to the next meet on Thursday, November 6th or would like to go and watch you must come to the meeting and sign up. Any questions see Mrs. McCorry. Attention students – the library will be closing at 3 o’clock today. Seniors! Thomas Nelson will be here Monday, November 3rd from 10:15 to 11:00. Please sign up in the Counseling Department and check the College Representative book to see who is visiting Lafayette. Do you like Fiddle Music, Hayrides, Doughnut Eating Competitions, and food? Come on out to Jamestown High School for the Lafayette and Jamestown Orchestra Harvest Concert & Family Fun night tonight at 6:30pm. Congratulations to the Theatre Department. 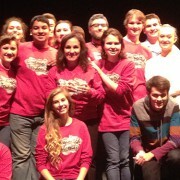 This past weekend, LHS Theatre Department competed with their one act âUuexpected Tendernessâ at VTA. Out of 60 high schools Lafayette came in 2nd place! The top 2 schools will compete in March at Nationals in Chattanooga, Tennessee. Want to see âUnexpected Tendernessâ? We need an audience on Saturday, November 1st. Come see LHS Theatre perform for VHSL conference here at Lafayette and admission is FREE. LHS performs at 12:55pm. The one act is 33 minutes, come a few minutes early. No admittance once show has started. The Entranced Quartet recently performed at the European Cars of Williamsburg car show as a fundraiser to benefit the EEE Resource Center. The EEE Resource Center employs, educates, and empowers adults with special needs. The Center invited student groups to provide musical entertainment at the benefit show. The Entranced Quartet, comprised of four LHS orchestra students, volunteered. 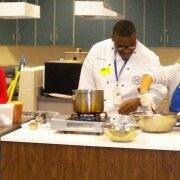 Chef Booth from Stratford University demonstrates proper cooking techniques to students taking Nutrition and Wellness and Resource Management classes. There will be a Boys Basketball Interest meeting on Monday, November 3rd at 2:30 in Room 112. Boys Basketball workouts are canceled until tryouts, however there will still be weightlifting on Tuesdays and Thursdays from 2:30-3:30. Tryouts are being held on Monday, November 10th from 7:00-9:30 at LHS. You must have a physical to tryout. Do you like Fiddle Music, Hayrides, Doughnut Eating Competitions, and food? Come on out to Jamestown High School for the Lafayette and Jamestown Orchestra Harvest Concert & Family Fun night Tuesday, October 28th at 6:30pm.